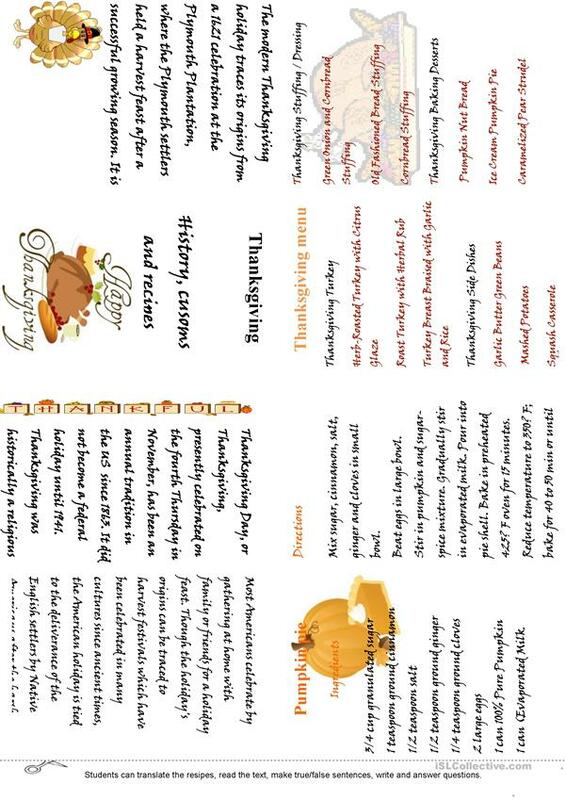 Some facts and history of Thanksgiving, and a PUMPKIN PIE recipe, and a Thanksgiving menu example. The present downloadable worksheet is intended for high school students at Pre-intermediate (A2) level. It is useful for developing your learners' Reading skills. It centers around the vocabulary topic of Food.